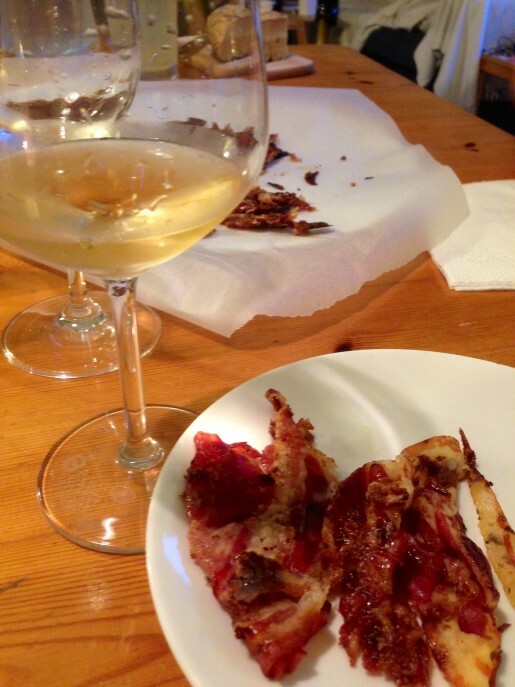 Italian Sparkling Wine: Bubbly & Bacon is part of WinePairingWeekend #7: Sparkling Wines and Hors D’oeuvres. Wine Pairing weekend is a monthly collaborative of wine / food bloggers who gab about our eating and sipping adventures. Find links to the other topics after my post. Yes, that’s right, I said bacon. BACON! It might be a surprise, but the salty, crispness of bacon pairs deliciously with sparkling wine – especially Italian Sparkling wine. I thought the topic was worth some musing since sparkling, bacon, and food and wine pairing are a few of my favorite things! My post highlights wines made in the classic method (metodo classico) from my adopted land of Northern Italy. The rich, creaminess of metodo classico is a fantastic compliment to the salty grease of bacon. Give ’em both a try – and, together! Did you know that Northern Italy is kind of a big deal in the world of sparkling wine? First, some background on the wine. Until I moved I thought Italian sparkling wine consisted of Prosecco and the occasional Moscato d’Asti. If you are nodding your head, don’t feel bad. It makes sense that our minds go there. In the U.S., Prosecco and Moscato d’Asti are the most imported Italian sparkling wine – and Italy accounts for half of the country’s sparkling wine consumption. But, there is so much more available on the sparkling front in Italy. Northern Italy is home to many well-know regions and producers. There isn’t space to go into all that here so lets start with a look at the metodo classico style, then talk about the regions of Alta Langa and Franciacorta. After the wine prose, bacon beckons. Prosecco is done in the Charmat method whereby secondary fermentation happens in bulk tanks. These wines tend to be sweeter and should be consumed younger. They also realize sales sooner. Contratto: The first vintage Italian sparkling wine comes from Piedmont. Located in the small winemaking village of Canelli it features 5,000 square meters of underground cathedrals dating back to the 1870s. Canelli’s cellars garnered UNESCO World Heritage site designation earlier this year. It’s a sight to see if you are visiting the region. The vineyards of the Alta Langa (meaning high Langhe) sit higher than their better-known Barolo and Barbaresco counterparts. Cooler temperatures coupled with breezes from the Ligurian Sea make it ideal for sparkling wine production. Alta Langa require 24 months minimum aging on the yeast (second fermentation), which gives the wine a nice rich creaminess. Alta Langa champagne method wines must be made with grapes that are traditional to the region of Champagne. 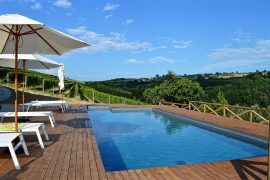 Alta Langa consists of 90 to 100 percent Chardonnay and Pinot Noir; 10 percent can be with local, non-aromatic varietals. Franciacorta is in southern Lombardy off Lake Iseo. It’s one of Italy’s youngest wine regions, originating in the 1960s. From 1996 to 2006 wine production skyrocketed from 2.9 million bottles to 6.7 million. If you are scratching your head because you have never heard of if, that’s no surprise: 90 to 95 percent of Franciacorta wines are sold in Italy. 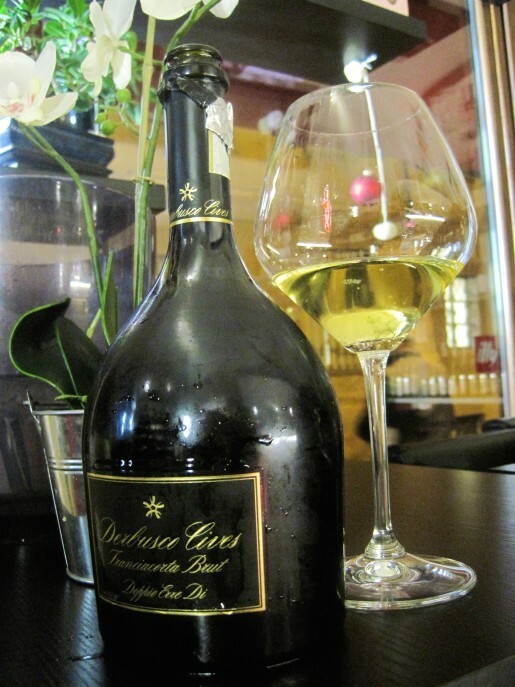 Grapes include Chardonnay, which makes up 85 percent of total Franciacorta production, Pinot Nero, and Pinot Bianco. 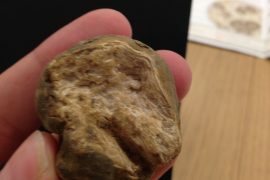 In Franciacorta aging on the lees lasts 24 months and Champagne requires 18 months. The purpose of second fermentation is time on the lees. In theory, more time on the lees gives a richer, more complex wine. 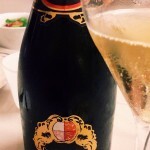 Though it bears noting that the grapes of Franciacorta are generally rich to begin with. The region’s warm climate means more sugar and lower acidity. The acidity in sparkling wine helps it cut through the delicious bacon grease that we all love. Pairing it with a Northern Italian sparkling wine takes it to another level. The extra body of these rich, creamy wines help it cope with the flavors. That full body creates a beautiful salty-sweet balance. Ingredients: 1/2 cup packed light brown sugar, 1 1/2 teaspoons chile powder, 20 slices of thick-cut bacon (1 1/2 pounds) Directions: Preheat the oven to 400°F / 200°C. Line baking sheets with foil. Whisk brown sugar and chile powder. 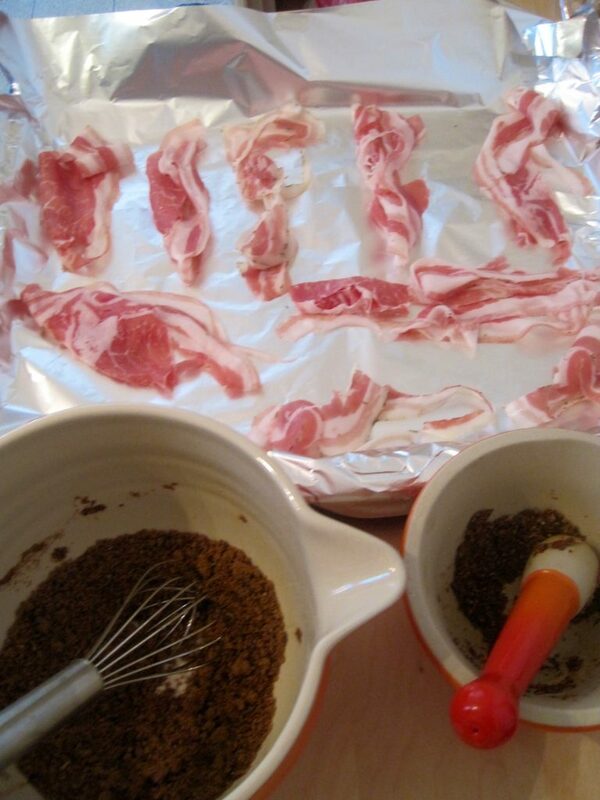 Arrange the bacon on the baking sheets and coat the tops with the chile sugar. Bake for 20 to 25 minutes, until caramelized and almost crisp. Transfer the bacon to a rack set over a sheet of foil to cool completely; serve. The bacon candy can be made early and stored at room temperature. Pairing Tip! Go richer, sweeter or both on the sparkling selection. Ingredients: 20 uncooked large shrimp (peeled and deveined), 1 tablespoon chopped fresh rosemary, balsamic vinegar, 10 bacon slices (cut in half crosswise), crumbled Stilton cheese Directions: Arrange shrimp on baking sheet and sprinkle with rosemary, ground black pepper, and several splashes of vinegar. Wrap each in bacon – make sure they are completely covered and secure with toothpick. Preheat broiler. Broil shrimp 4 to 5 inches from heat source until shrimp are cooked through and bacon is browned. Watch carefully to prevent burning – broil about 5 minutes per side. Remove toothpicks and transfer to serving dish. Sprinkle hot bacon and shrimp with cheese and serve. Can be prepared ahead up to eight hours. Cover and chill on sheet. Pairing Tip! A classical Stilton pairing is port – rich meets sweet. 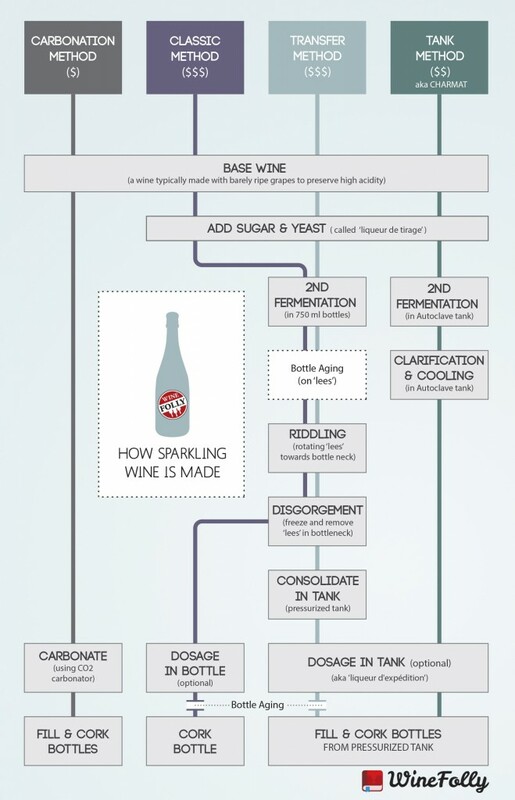 Stick with that guide and try a sparkling that is richer, sweeter or both. The next two recipes come from a dear friend and bacon expert at blog Colorado 2 California. Nikki and her husband Ben practice bacon arts in their kitchen regularly. They were kind enough to write up some of their favorite exploits for us. Enjoy! Directions: Pre-heat the oven to 350°F / 176°C. Cut chicken into small pieces, sprinkle with blue cheese crumbles, wrap in bacon, rub cayenne mixture all over the bacon. Cook for 10 to 15 minutes. Pairing Tip! Since this has cayenne try to find something with a fresher acidity. Directions: Preheat oven to 450°F / 232°C. In a large bowl stir together the flour, baking powder, sugar, salt, syrup, and cream of tartar. Using a pastry blender, cut in butter until mixture resembles coarse crumbs. Make a well in the center of the flour mixture. Add milk all at once. Using a fork, stir just until moistened. Turn dough out onto a lightly floured surface. Knead dough by folding and gently pressing dough for four to six strokes or just until dough holds together. Pat or lightly roll dough until 3/4 inch thick. Add bacon pieces. Cut dough with a floured 2-1/2-inch biscuit cutter, rerolling scraps as necessary. Place biscuits 1 inch apart on an ungreased baking sheet. Bake for 10-14 minutes or until golden. Remove biscuits from baking sheet and serve warm. Makes 12 biscuits. Pairing Tip! Since this is a sweeter recipe, try a “demi-sec” sparkling. 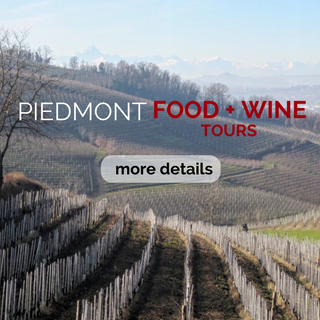 For more food and wine pairing ideas, see The Ultimate Guide to Piedmont Food and Wine Pairing. Sparkling Wine and Appetizer Pairings Here are the ideas available from our group for you. Try something new this year! Next articleWhat is up with the Chianti Classico Black Rooster? What a great breakdown of Italian sparkling wines. Thanks for sharing! I’m loving your bacon lineup! Thank you! Cant wait to read yours! Great introduction to the world of sparkling wine in Northern Italy. It’s a shame folks don’t go more to Italy for their sparkling wine outside of the normal Prosecco. Franciacorta is definitely one to reckon with as others as well, but the availability in the US is what causes this a lot. Great article! Thanks, Jennifer! The lack of Franciacorta in the U.S. breaks my heart. I am on a personal mission to start an Italian sparkling renaissance in the States. It’s just slow going thus far ;). 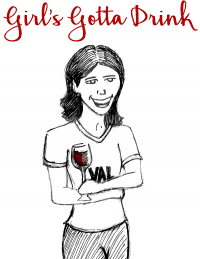 Welcome to #winePW Valerie. Great pairing! That bacon candy sounds great. I’ve only enjoyed Franciacorta a couple of times, but I’d love to try more! Thanks for reading, Martin! Loved the chat today! And, your post. Crisps and Roederer. Yes, please! 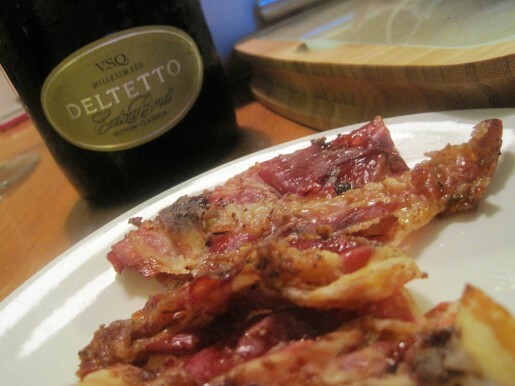 We did the bacon candy last week with Deltetto (from the Roero, great stuff!) and a Fratelli Berlucchi Franciacorta. It was a perfect pairing. And, the bacon, shrimp, and stilton is an old standby of mine. It’s pretty amazing. Looking forward to doing this again! Now on the lookout for sparkling wine from Northern Italy. 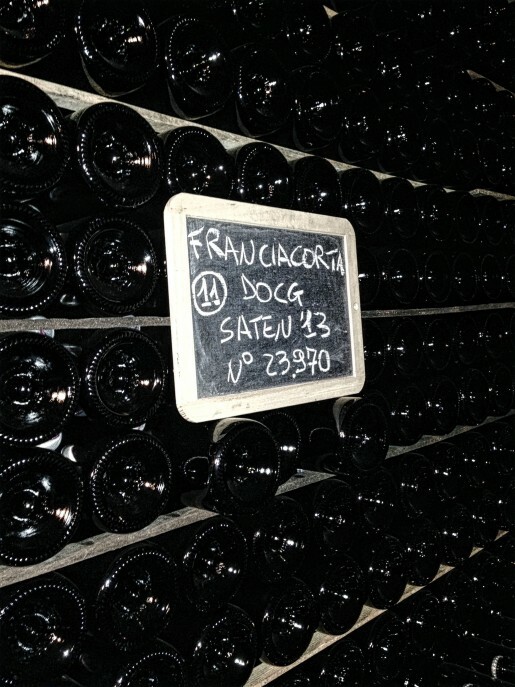 Especially Franciacorta DOGC. Wonderful information. And paired with BACON! That’s a win wine in my book. I mean win win. It’s almost impossible for me to type win without misspelling it “wine.” It was fun tweeting with you on #winePW 7. Look forward to learning more about Italy and your food pairings. Cheers! thank you, william! 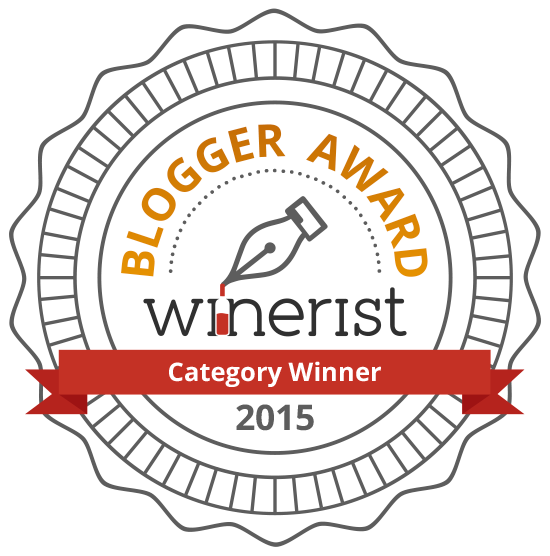 can’t wait to continue reading and tweeting about your wine and food pairing adventures, too!